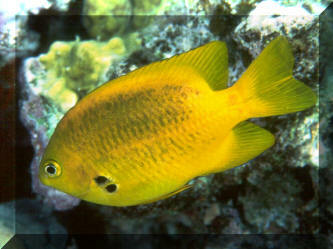 Pomacentrus sulfureus Klunzinger 1871, the Sulphur Damsel. Western Indian Ocean, including the Red Sea. To three inches overall length. This fish has become a steady offering in the pet trade. 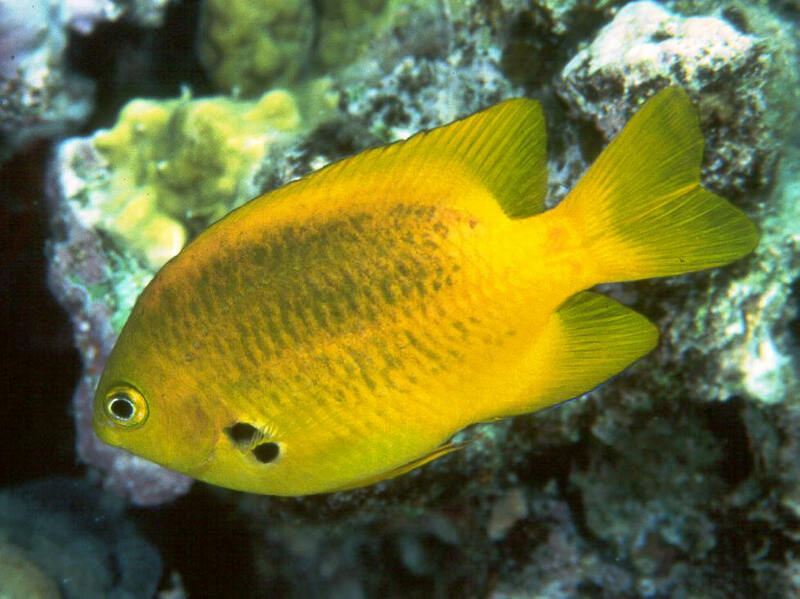 It's a gorgeous golden yellow overall as an adult and only slightly less so as juveniles. This one in the Red Sea. Pomacentrus vaiuli Jordan & Seale 1906, the Ocellated Damselfish. Western Pacific to Eastern Indian Ocean. To four inches in length, and as territorial as the genus comes... hangs out on its patch of Acroporid coral in the wild, and best kept this way with plenty of room (at least twenty gallons to each) in captivity. Intermediate specimen in Wakatobi, S. Sulawesi, Indo. 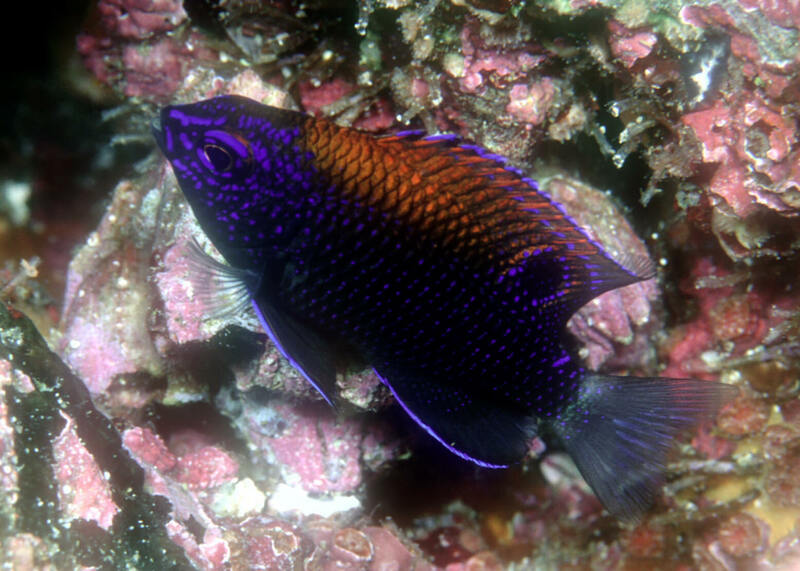 Pomacentrus vaiuli Jordan & Seale 1906, the Ocellated Damselfish. Western Pacific to Eastern Indian Ocean. To four inches in length, and as territorial as the genus comes... hangs out on its patch of Acroporid coral in the wild, and best kept this way with plenty of room (at least twenty gallons to each) in captivity. Adult in N. Sulawesi, Indo. 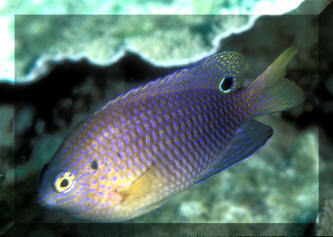 Stegastes beebei (Nichols 1924), the Southern Whitetail Major or Galapagos Ringtail Damselfish. Eastern Pacific, Panama to Galapagos. To six inches maximum length. Juvenile in the Galapagos.